Pumpkin Cheesecake Pie is one of those desserts that you will go back to again and again. Glorious pumpkin flavored cheesecake in a pie crust and embellished with leaf cutouts is the perfect way to celebrate at your next get together! If you happen to want the world’s best Cheesecake Recipe, I’ve got ya covered! I made a Pumpkin Cheesecake last year that has been one of my most popular seasonal recipes. It’s SO GOOD! But it’s also a big recipe and has a standard graham cracker crust. 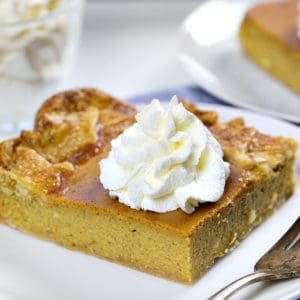 This Pumpkin Cheesecake is half the size and made with pie crust and embellished with leaf cutouts (also made with pie crust). It’s just as delicious as the original, maybe even more so if you happen to love pie crust as I do. 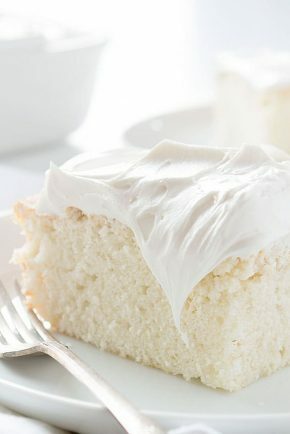 The recipe also uses McCormick Pure Vanilla Extract which could not make me happier. I went to a retreat recently and learned all about the quality and beauty of McCormick Pure Vanilla Extract and that knowledge has forever changed how I think about vanilla! It’s deceptive just how much this looks like a plain ole pumpkin pie but trust me, this Pumpkin Cheesecake is packed with creamy cheesecake flavor. 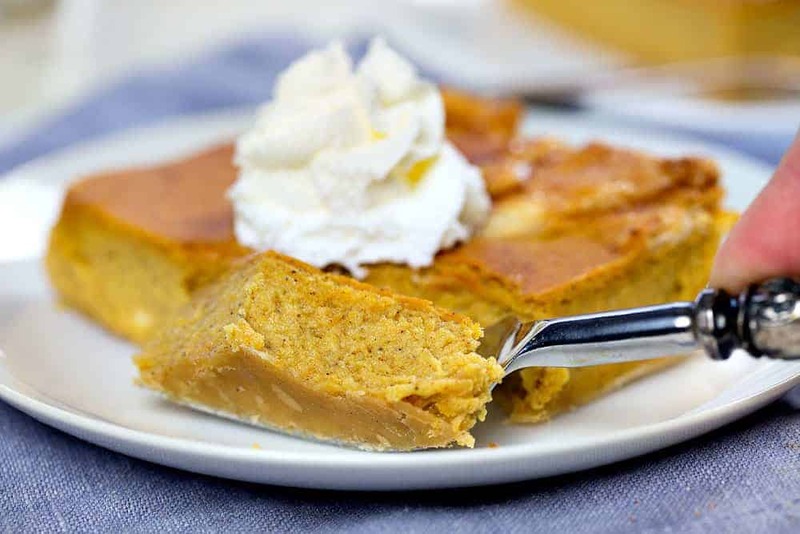 Here are a few tips to make sure your Pumpkin Cheesecake turns out perfectly! PREPARE: Read through the recipe before you start baking. Make sure that you have all the necessary ingredients available. (And make sure they are the best quality, like using McCormick extracts and spices!) Often times a cheesecake recipe will call for room-temperature ingredients (like cream cheese and eggs) and setting them out ahead of time so that they can gradually soften is best. MIXING TOOLS: The tools you use to mix cheesecake can be just as important as the ingredients. 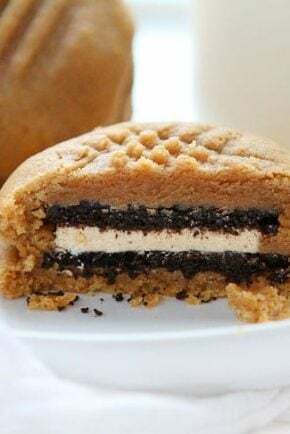 It is important is use a hand-held mixer or stand mixer in this recipe as you often want to cream the cream cheese and sugar at high speeds for a longer amount of time. While a hand-held mixer will work, it may not get you the same results and you may end up with lumpy cream cheese. Canned pumpkin is just pumpkin in a can. There should be no seasoning, spice, flavoring, or sugar added. Pumpkin pie filling has spices and flavoring already added and is sweeter. This Pumpkin Cheesecake recipe calls for PURE PUMPKIN, meaning that we want to control the spices as well as the sweetness. Cut out or use a cookie cutter to get as many leaves as you can with any excess pie dough. For the slab pie recipe below I used a store-bought pie crust that comes with 2 per package. One crust was used in the pie and the other was used to cut out the leaf embellishments. 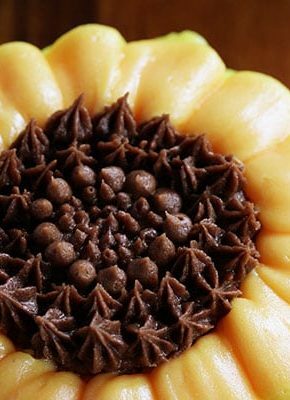 After you have filled the pie crust with your pumpkin cheesecake filling, press the leaves on the rim of the pie shell, as shown in the photo. I had 3 different cookie cutters so I alternated between each design. If you are using one shape just alter how you lay each leaf out. For instance, one slanted slightly in towards the pie then the next slanted slightly out. Brush the leaves with 1 egg that has been slightly beaten. Sprinkle the leaves with raw sugar (a larger grain sugar). Bake the pie as normal. Keep an eye on the crust as you don’t want the leaves to burn. I had a piece of foil ready to go if I saw burning, but didn’t need it with this specific recipe. Every oven is different so keep a close watch on yours. 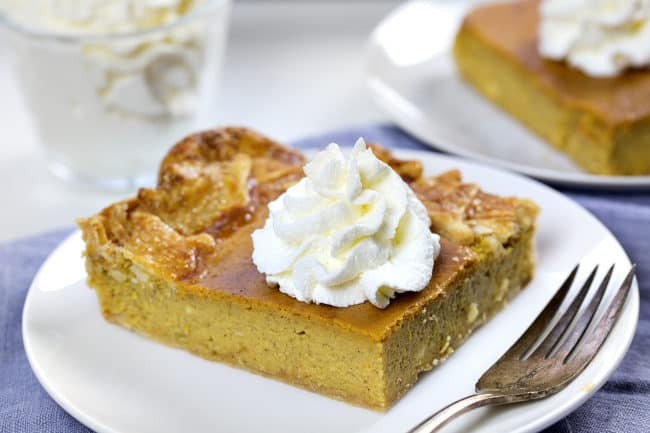 Not only am I giving you the recipe for how to make a Pumpkin Cheesecake Pie in a traditional pie dish, but also for Pumpkin Cheesecake AND Apple Crisp Cheesecake Slab Pie! I am obsessed with this super easy way to incorporate two different recipes into a slab pie and equally as obsessed with how happy it makes guests. People can a choice between the two delicious desserts and often fight over that middle piece! Just see the “notes” for the slab pie directions. An easy and fun way to enjoy Pumpkin Cheesecake! Place 1 prepared pie crust into 7 " pie pan. Bake for 10 minutes. Allow the crust to cool completely. Add pumpkin, sugar, eggs, vanilla, and pumpkin pie spice and mix well. Pour into the cooled crust. Roll out the second pie crust onto a lightly floured surface. Using leaf-shaped cookie cutters (or cutting them out by hand) press into the pie crust and remove leaf shape. 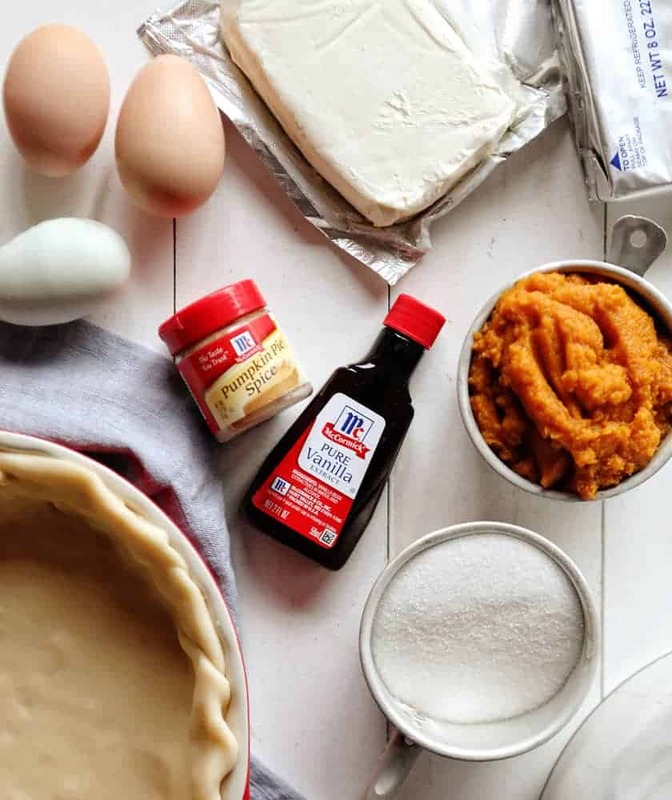 Once you have all the shapes start pressing them gently onto the rim of your filled pumpkin pie dish, making sure to press the pie crusts together so they bond. Using a pastry brush, brush a beaten egg over the leaves. Sprinkle raw sugar over the leaves. 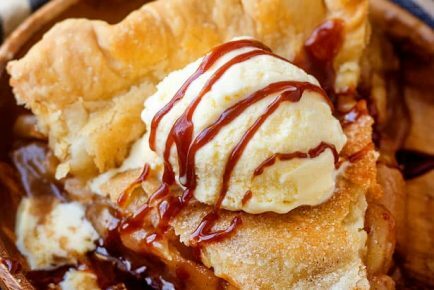 Bake the pie at 350°F for 45-50 minutes. Keep a close eye on the leaves; if they start to get too brown cover the edge of the pie with foil and continue baking until pumpkin cheesecake is done. Chill for at least 2 hours before serving. To store, cover with plastic wrap and keep refrigerated. You will need 3 total pie crusts. 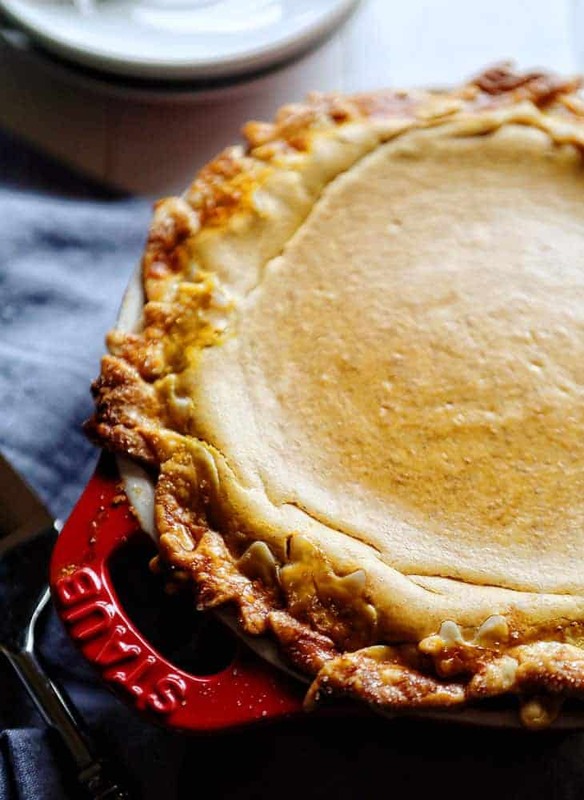 Place a pie crust on a lightly floured surface. Place another pie crust directly on top of that. 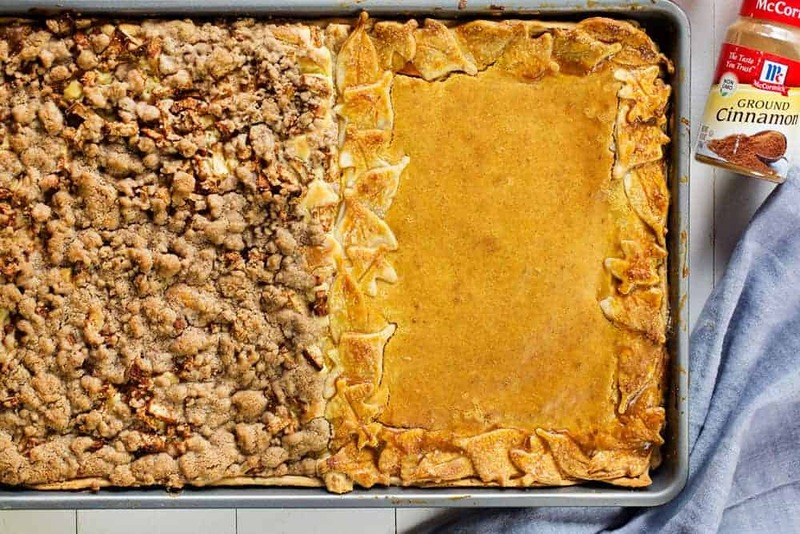 Roll out the pie crusts until you have a large rectangle, one that fits a 10x15 sheet pan. Trim off any excess crust and repair any tears if needed. Use the remaining pie crust to create a dam in the center of the sheet pan. This will divide the pumpkin cheesecake and apple crisp cheesecake. Make sure the pie crust dough is pressed firmly into the pan and that no filling can leak through. Bake for 10 minutes at 350°F. Remove from oven and set aside until slightly cooled. Prepare the Pumpkin Cheesecake. Pour into half of the pan. 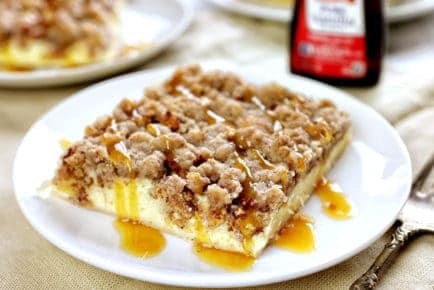 Prepare Apple Crisp Cheesecake. 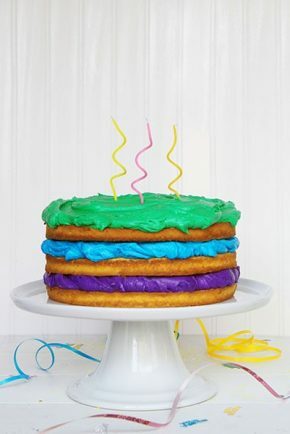 (Click for Recipe) Pour into the other half of pan. Thank you so much for supporting the brands that support me here at iambaker. This Pumpkin Cheesecake Pie was SO fun to make and I loved being able to make it in 2 different ways. McCormick products are so versatile! The recipe looks incredible and I intend to make it for Thanksgiving. Congrats to whomever made this up. My request is really more about the reading of the recipe. Can you block this so we could print this out? Really am happy I get this email from Amanda the Baker. Would there be any changes for high altitudes in the pumpkin or apple crisp cheesecake recipes? Over 5,000 feet.